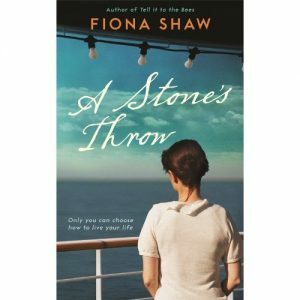 Set in England and Africa, opening during World War Two, A Stone’s Throw is about how secrets linger and the price we pay to keep them. Most of all, it’s about the choices we make, about consequences – and how we must, finally, let go of the past and face the future. 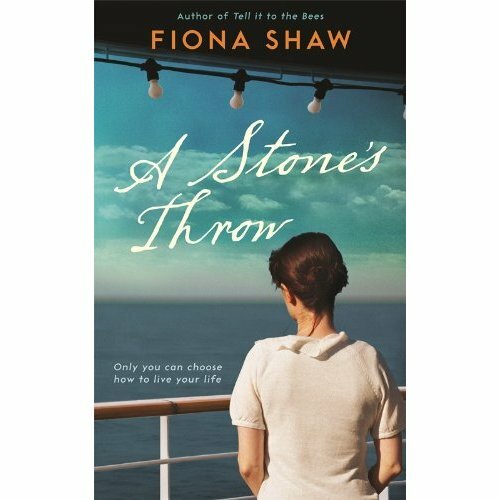 ‘Fiona Shaw’s affecting novel opens in the midst of the second world war. Travelling by ship to Africa to meet her buttoned-up fiancé, Meg Bryan has an affair with a handsome soldier, but their dalliance is interrupted when German U-boats torpedo the convoy. Rescued from the wreckage, Meg begins her new life as a colonial housewife in Kenya. As the years pass, she is unable to forget the romance and trauma of the voyage. Shaw describes her characters as “tiny figures caught between land and sea”; they are buffeted by circumstance and bound by a certain kind of middle-class reticence. Though she names her chapters “Ice”, “Air”, “Water”, “Fire” and “Earth”, her prose eschews the elemental; it is as subtle and delicate as gossamer.